Rocket fired from Gaza hits home in a moshav in the Sharon region. Seven people injured. 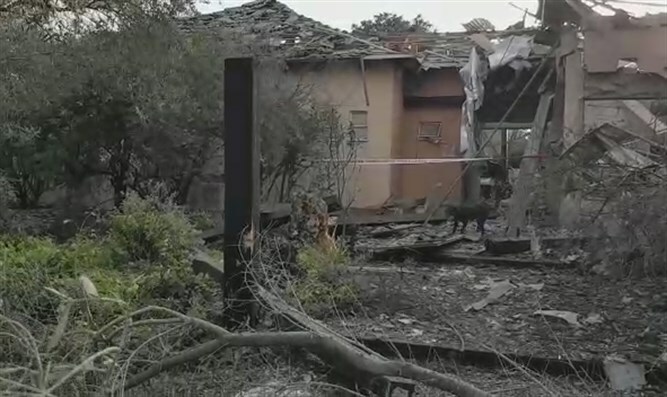 A rocket fired from Gaza early Monday morning hit a house in Moshav Mishmeret in the Sharon region. In addition, several victims were treated for shock, as well as a number of individuals who were suffered light injuries while making their way to a protected area. Earlier, a siren sounded at around 5:18 a.m. in the Sharon area. Local residents reported hearing explosions and the sound of a rocket exploding. The IDF confirmed that one launch was identified from Gaza. The IDF continues to look into the details of the incident. The Chief of Staff is receiving regular updates, as does Prime Minister Binyamin Netanyahu who is currently in Washington. Netanyahu’s office said he would be holding a security consultation will be held with the Chief of Staff, the head of the Israel Security Agency (Shin Bet), the head of the National Security Council (NSC) and senior security officials.